CNS – Our priority revolves around speed, and power. Speed is highly CNS dependent and I believe in the principle that the CNS needs 48 hrs recovery. Doing all of our High CNS work on one day gives us 48 hours of recovery before having to repeat high CNS demands again. What do we classify as high intensity means? Strength work above 70%, max speed work, jumps, max medball throws, deceleration/agility work. 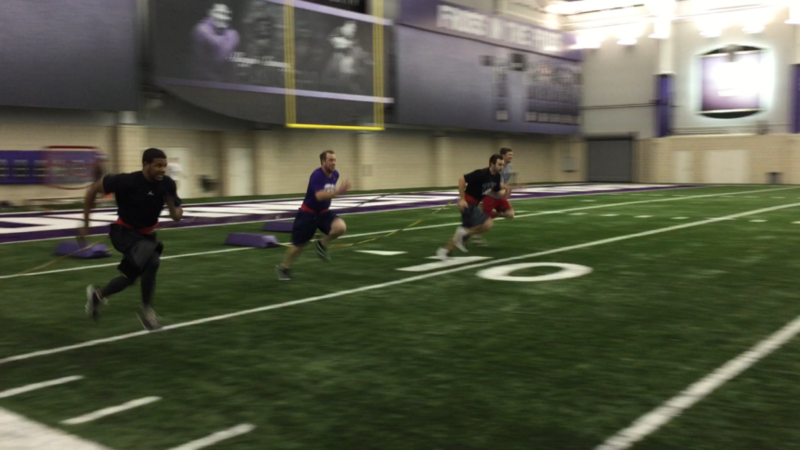 We train for max speed with our players. We don’t run to condition or run just to run. Every time we step on the field we sprint with a purpose. In the High/Low system, we don’t believe running at sub-maximal intensities serves any purpose but to train to the body to be less specific and delay recovery. Everything on a baseball field takes place in the alactic energy system with often long recoveries. We believe speed dominates the game and we train accordingly with high intensity maximal speed sessions. Recovery – If we had the above high intensity means spread daily throughout the week the body would never have a chance to recover. The body’s rebuilding process through adaptive protein synthesis is where we make gains. That happens while we are resting, not training. If we never allow the body to rest and compensate, then we further drive it into a state of fatigue. When our body is depressed further into fatigue sickness and injury are soon to follow. The recovery days in between allow our athletes to come back and train harder after a day of rest. We train the way we play. Athletes don’t get to choose whether they use their upper body or lower body during a practice. We aren’t afforded the ability to choose whether we’ll play the game with our upper or lower body. The entire body is taxed head to toe during the game so why not do the same thing when it comes to training. A high low 3 day approach allows us 3 stimuli throughout the week vs 2. We get another day of high intensity speed vs only 2 on a 4 day split. 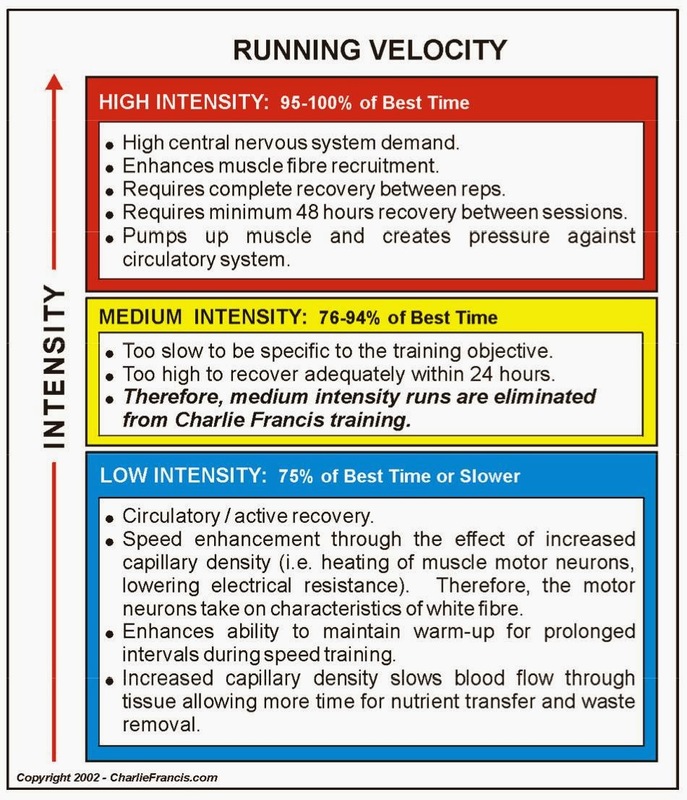 If we’re doing 4 days of speed work then it should be varied in intensity so players aren’t being crushed. When it comes to the posterior chain, and posterior upper body it allows us 3 stimuli per week vs generally 2 on an upper lower split. 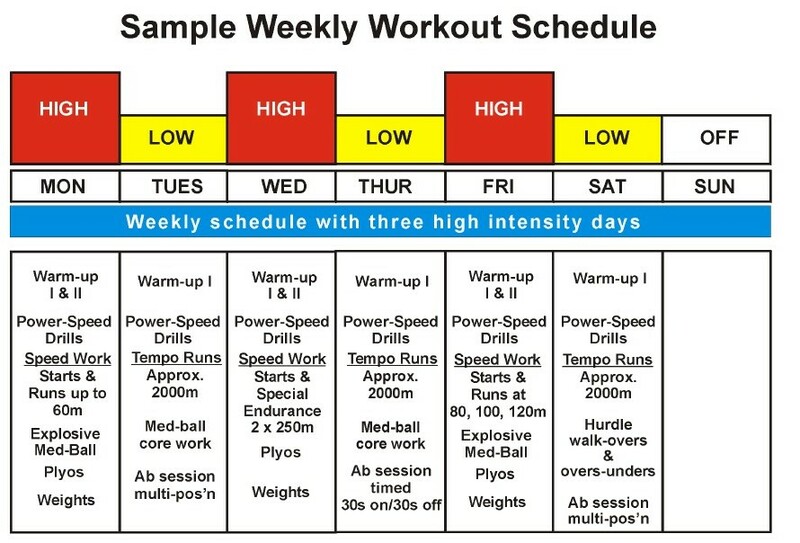 In our in-season plan we also do total body a minimum of 2 days per week again vs a common U/L split. My issue is the same in this case in that the stimuli is only once per week. I would rather get more frequency with a reduced volume than a high volume session but only once per week. 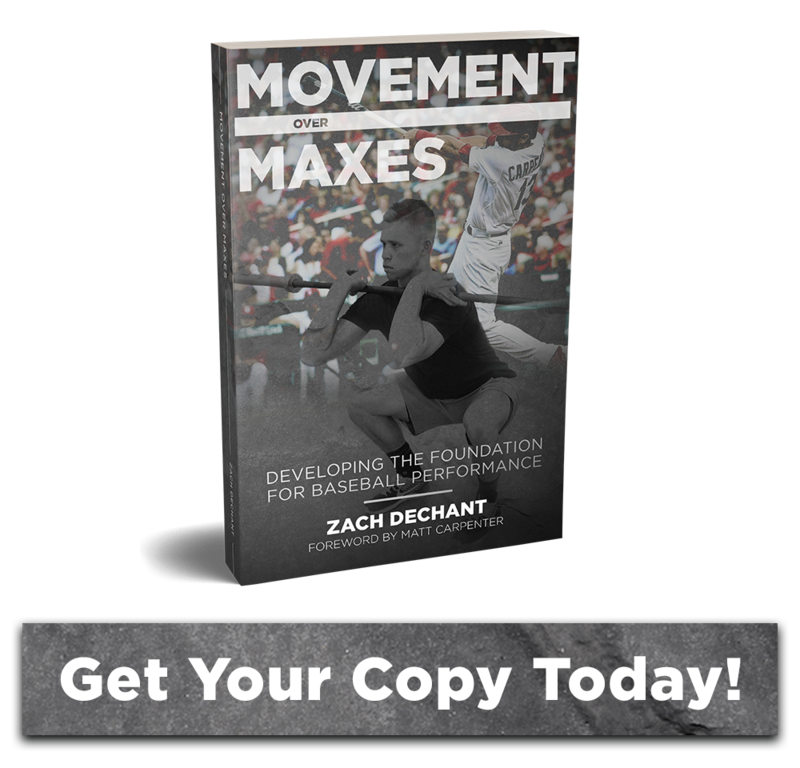 Frequency is often the driver in correcting faulty movement patterns, and deficiencies. When an athlete is coming off of a UCL surgery they do physical therapy everyday to gain ROM and movement back. They don’t do a bunch of ROM for 1 or 2 days and nothing the remaining week. I don’t need filler – One of the big reasons I don’t employ a 4 day plan in the fall is because oftentimes we use too many exercises. I view 4 day plans as more hypertrophy based. When we use 2 days for Upper body we run into doing too much work and a lot can become bodybuilding based. I’m not saying pitchers can’t be big and strong but there is a fine line between necessary and unnecessary. Too much shoulder girdle work has just as much an impact as not enough. When players start to sacrifice range of motion because of shortened/overactive pecs your toeing a fine line. We start filling up exercises into their week that really may not be that necessary, otherwise the workout would be too short. I’m confident we can get the work we need done in 3 days. 4 days is not a requirement for building my athletes. Athletes can make huge gains on a 2x / week program. Imagine doing total body twice a week vs an upper lower split. Both workouts have 2 U / L stimuli in 7 day microcycle. 3 days also allows us to get in a large chunk of movement based training, soft tissue work, and build an aerobic base while emphasizing the recovery process throughout the week. I’m in the boat that strength / hypertrophy is not the end all be all for athletes. Let’s not forget that speed, movement, resilience to injury, and biological energy are what show up on a field, not always that 500 lbs. squat. All too often more is not necessarily better. I’m not saying there isn’t a time and place for 4 day splits, because we do utilize them at times, but this gives some insight into why we don’t use them during our fall off-season here at TCU.